Rated at 3,000 to 4,000 lbs. Komatsu’s electric counterbalanced forklifts bring bold improvements to the market with significant reductions in total operating costs while improving truck performance and productivity. 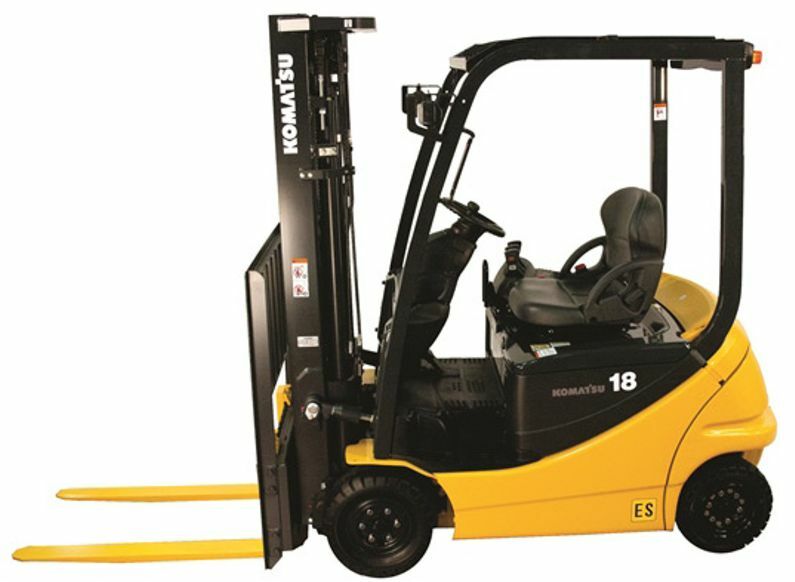 Komatsu’s AE50 Series of four-wheel and three-wheel electric cushion and pneumatic tire forklifts feature innovative engineering ideas to show Komatsu’s commitment to fulfilling customer needs, conserving our environment, and reducing total cost of ownership. Komatsu’s hydrostatic power steering system allows for smooth and easy stationary steering and switchbacks, providing outstanding truck agility and maneuverability. With its smaller 12” steering wheel, the Komatsu AE50 Series achieve superior responsiveness and has the ability to maneuver quickly in tight spaces. micro-switches, potentiometers, and control signal circuits. With their reliable waterproof design, the AE50/AM50 models can be used in coolers, freezers, outdoors and also can be washed down with running water. With a low and spacious step area, entry and exit from the AE50 Series is accomplished with minimal effort thereby reducing operator fatigue. With a spacious assist grip, slim steering column design and deck mounted control levers, the operator can enter or exit from either side of the truck.